Isn't she beautiful? I adore her dark brown hair, bold eyebrows, and warm look. Admittedly, I don't know anything about her, just that I've always thought she was lovely! 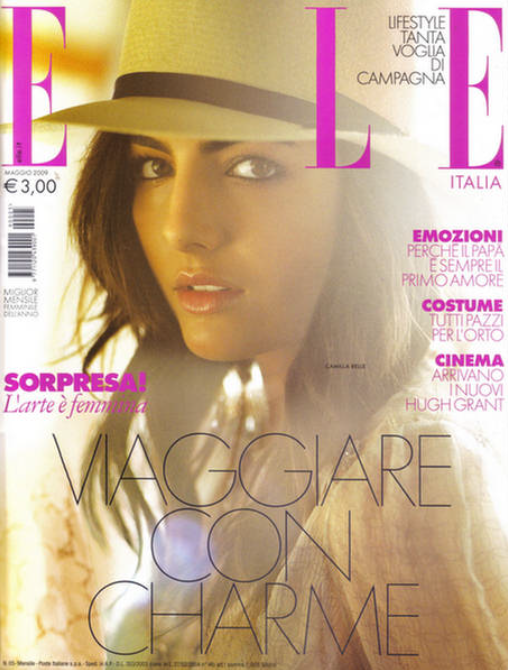 And her name, Camilla Belle, is just as pretty as she is. I might have to name a daughter Belle (or Bella) one day. I love the sound of it. She so pretty- Love the all photos- I just love Sunflare on pics. gives such a vintage soft feel!!! She is indeed a beauty! I love her brows! she is beautiful and i love the relaxed feel of these photographs. she seems like an approachable person as well, despite being totally gorgeous. I am drawn to her eyebrows they are so good! Her features are so beautiful and strong. That soft focus is going around again these days, allowing us to take the time to search out the details, pulling them to the surface of our mind's eye. It seems to be the depth of the brunettes that peek our interest, hold our attention more lately than not. yes, i always wanted chestnut hair like that! Gorgeous! Belle's brows are to die for, aren't they? Such a striking, elegant look. Loooving these photos. She is amazingly beautiful. Nice timing on this post. I just posted today 'not' to name your child Bella. But for different reasons ;) I've always loved the name though. Anything with a double 'L' really. Actually, I think my first time seeing her act was in "A Little Princess". She seems to have an unspoiled quality about her, that is rare in the acting world. I like her look...and like you her eyebrows are so pretty! So stunning and what amazing light in the photos! she is so so gorgeous! I love this editorial! She is absolutely gorgeous. Charming post, indeed!